Michael Angelina joined Saint Joseph’s University in April 2012 to lead the Risk Management and Insurance program within the Haub School of Business. He is an Associate of the Casualty Actuarial Society, a Chartered Enterprise Risk Analyst, and a Member of the American Academy of Actuaries, having served on the Academy Executive Council as Vice President - Casualty. Angelina is the co-author of Tillinghast’s industry-wide asbestos actuarial study and participated in the development of the 2003 FAIR Act (proposed Federal asbestos legislation). 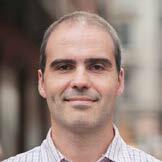 Andrew Breen is senior vice president of Digital for Argo Group (NYSE: ARGO), a multibillion dollar commercial underwriter where he leads the company’s transition to a digital business and oversees Argo Ventures, their early stage investment fund. He leverages his 25 years in tech startups and large, regulated businesses to disrupt businesses through a product-centric tech approach. He is formerly the vice president of product for American Express’s Enterprise Digital division and has done eight tech startups across multiple industries including one that was sold to Palm where he started the wireless services division as part of the Treo smartphone initiative. John Bruno is executive vice president, general counsel, secretary and chief human resources officer for The Auto Club Group. He joined the organization in January 2012 as vice president and deputy general counsel. Prior to joining The Auto Club Group, he was a partner at Locke Lord, LLP and managing director at Keefe, Bruyette & Woods, Inc., an investment banking firm. Jim Davidson is a resilience expert who shares stories, lessons and techniques for overcoming adversity and reaching high goals. Davidson co-authored the New York Times best-selling survival memoir, “The Ledge: An Inspirational Story of Friendship and Survival.” “The Ledge” was picked one of the Best Books of the Year by Amazon and it won the National Outdoor Book Award for Outdoor Literature. Theo Epstein is president, baseball operations, for the Chicago Cubs. He is in his 16th season as a general manager or president of baseball operations and has won three World Series (2004 and 2007 with Boston, 2016 with Chicago). Under his leadership the teams ended championship droughts of 108 years with the 2016 Cubs and 86 years with the 2004 Red Sox. He’s been in his current position with the Cubs since October 25, 2011, guiding the team to victory in six post-season series. 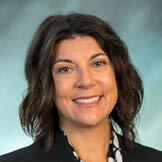 Darla Finchum s the interim head of P&C and chief claims officer of MetLife Auto & Home. She oversees and manages all aspects of the MetLife Property & Casualty Claim Organization. She is responsible for delivering industry leading quality, efficiency, customer experience and employee engagement results through effective thought leadership, empowerment and development of over 1,800 associates across six countrywide offices. Laura Foggan is a partner in Crowell & Moring's Washington, D.C. office, and chair of the firm's Insurance/Reinsurance Group. She is described by LawDragon 500 Magazine as "one of the most successful advocates for the insurance industry to ever practice" and recently was recognized as a Thought Leader for Insurance & Reinsurance by Who's Who Legal (2018) and named Washington D.C. Insurance "Lawyer of the Year" by Best Lawyers (2017). Susanna Gotsch is director, industry analyst, at CCC Information Services Inc. She has been with CCC since July of 1992. She has authored The Crash Course, CCC’s annual publication on trends impacting collision repair and total loss costs since 1995. This publication has become a key resource for the industry in understanding how broader trends within the economy, new and used vehicle market places, and collision industry are impacting auto claim frequency and costs. Gotsch also consults with the on-going development of CCC’s industry-leading data warehouse and reporting products. Claire Howard is the senior vice president, corporate secretary and general counsel for American Property Casualty Insurance Association. Howard spent 7 years as CEO of United Methodist Insurance (UMI), a denomination-owned, non-profit, captive insurance company and prior to that she served as General Council on Finance and Administration for the United Methodist Church; as General Counsel for a publicly traded, specialty transportation company; and as a partner in the Jackson, Mississippi litigation firm of Thomas, Price, Alston, Jones and Davis. Sherman "Tiger" Joyce is president of the American Tort Reform Association (ATRA), a national coalition of more than 300 non-profit organizations, professional societies, trade associations and corporations working through in-state coalitions to bring fairness and efficiency to the civil justice system. As President of ATRA, Mr. Joyce is the Association's CEO and a member of its Board of Directors. Mr. Joyce assumed his current position in 1994. 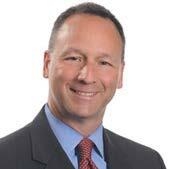 Dennis Kerrigan is Zurich North America’s chief legal officer and corporate secretary. He is responsible for the corporate law, compliance, government and industry affairs, security, and regulatory affairs departments for all North America businesses. He also served as executive sponsor of Zurich’s new North America Headquarters. He was named to his current position in 2008. Prior to joining Zurich, Kerrigan was a partner in the global litigation department of an international law firm. Tony Kuczinski is chairman of HSB Group, Inc., and president and chief executive officer of Munich Reinsurance North America, Inc. He assumed his position at HSB on April 1, 2009, following the completion of the acquisition of HSB Group by Munich Re. 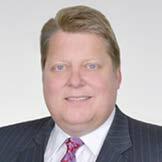 Kuczinski assumed his current position at Munich Reinsurance America, Inc. in January 2008. Previously he was president of the Specialty Markets division of Munich Reinsurance North America, Inc. where he was responsible for developing and achieving Specialty Markets’ strategic and business plans. Specialty Markets is the center of competence for all alternative market business produced within Munich Re. He currently serves as chair of the Board of Directors of the American Property Casualty Insurance Association. Kirstin Marr is president of Valen Analytics, directing all aspects of the company’s daily operations. Prior to becoming president, Marr served as Valen’s chief marketing officer. For six years, she led market strategy, brand awareness, innovative thought leadership, and direct marketing. Her efforts established Valen as a pioneer in predictive analytics for insurers focused on improving performance and meeting customer demands for transparency, responsiveness and fairness in risk management and business operations. Tony Mercurio is the President and CEO of National Interstate Insurance Corporation. Founded in 1989 and headquartered in Richfield, Ohio, National Interstate offers insurance products and services, including alternative risk transfer programs, focused on the transportation industry. Prior to assuming his current role at National Interstate, Mercurio served as President and CEO of Vanliner Insurance Company, a National Interstate Subsidiary. 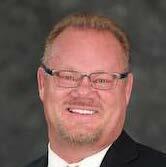 Ron Nielsen is chairman, president and chief executive officer of Utah Business Insurance Company. He founded the company out of a sense of frustration with the workers compensation market available to him as the owner of a contracting company, A Good Brick Mason. He formulated a business plan, raised capital, and worked with insurance professionals to develop a company that understood contractors’ needs while competing in a tough insurance marketplace. 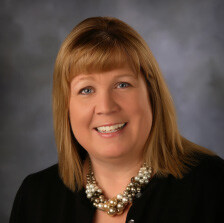 Kimberly Remmert, PHR, AIM, is vice president, human resources, for Pekin Insurance Group, a position she has held since 2015. She began her career at Pekin as director of human resources in 2010. She has 25 years of experience in the human resources industry with a professional background that includes consultation, workforce management, and learning and development. David A. Sampson is president and chief executive officer of the American Property Casualty Insurance Association. He held the same title with the Property Casualty Insurers Association of America (PCI) prior to its merger with the American Insurance Association (AIA) on January 1, 2019. Before joining PCI, Sampson served in the George W. Bush Administration in two presidential-appointed and Senate-confirmed positions. He was also a member of President Bush’s Management Council. 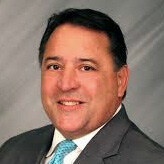 John Schapperle, CPCU, is chief executive officer of Island Insurance. Prior to joining Island Insurance in 2004, he was vice president of RLI Insurance, a national specialty insurance company, where his responsibilities included directing its Hawaii operations. He has more than 40 years of experience in the property and casualty insurance industry and has also held positions with INA Special Risk, Continental Insurance and Allstate Insurance, where he was responsible for several areas including management, underwriting, marketing and operations. Bryan Tepper is the chief information security officer (CISO) and director of information assurance for Hawaiian Electric Company. He is responsible for the cybersecurity team that designs policies and layered security to reduce organizational risk for Hawaiian Electric, Maui Electric, Hawaiian Electric Light and the Hawaiian EIectric Industries. He is an attorney, Certified Information Systems Security Professional (CISSP), Certified Information Security Manager (CISM), and Certified Information Privacy Professional (CIPP/US). 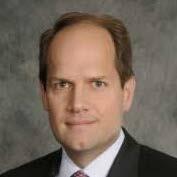 Claude Yoder is the global chief innovation and product development officer for Guy Carpenter & Company, LLC, a leading global risk and reinsurance specialist and a wholly owned subsidiary of Marsh & McLennan Companies. Yoder also leads Guy Carpenter’s newly formed GC Genesis subsidiary that provides InsurTech advisory services for the industry. Most recently, Yoder served as head of Marsh Global Analytics, a global team that delivered solutions supporting Marsh’s global insurance broking and consulting activities. His team led a global effort to position analytics as a foundational component of Marsh’s client and prospect development offerings.